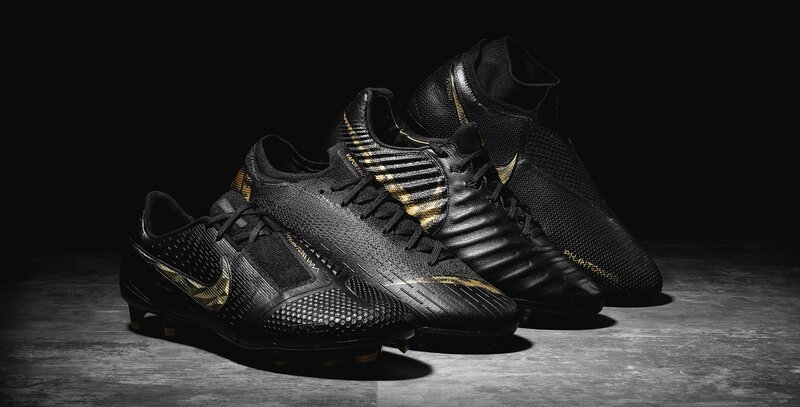 Nike is already launching their latest Black Lux Pack, which comes just two weeks after the popular Game Over Pack. Spoil your feet with a luxurious colourway, as the Black Lux Pack gives you a blackout colourway with golden details. The Nike Black Lux Pack is just Lux, or with other words luxurious. 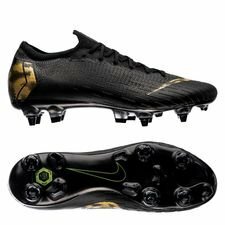 Nike has really taken their Mercurial and Phantom Series to the next level this year, as they give the most popular Nike football boots a stylish blackout colourway with luxurious golden details. 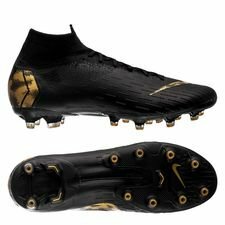 This high-end design will without a doubt make people notice you on the pitch, as the blackout season is taken to the next level with these Nike football boots. The Mercurial Series is like meant to be, when it comes to the black Lux Pack, as the golden details aren’t just regular golden details. 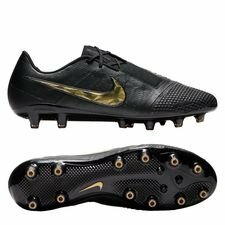 If you remember the launch of the the new Vapor 12 and Superfly 6, then you might remember that the boots came with a cheetah print, which could be the same pattern spottet on the Nike Swoosh and the ‘M’ on the heel. The Mercurial boots come with a sleek design, which keeps the look clean and fresh, while the golden details will catch people’s attention, making you the player to keep an eye out for. 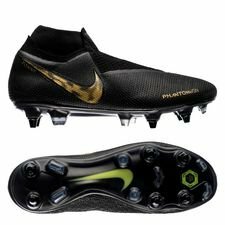 The Mercurial Series boots still features the well-known technologies, such as the Dynamic Fit Collar, Flyknit and ACC, so you can get the best possible conditions for your explosive speed in your new Black Lux Pack. We’ve already seen the Phantom Venom Black Lux, and now we can also take a closer look on the Phantom Vision. The Black Lux Pack gives the Phantom Series a stealth look, which will keep the Phantoms in the shadows, just in time for them to end the game. You can either choose to end it with Precision with the Phantom Venom, which gives you the best conditions for a clean strike on the ball, or with the Phantom Vision as it will give you to cut the defenses over with one strike to the ball, as you passes will set up your teammates. The Phantom Series includes some of the newest technologies, as the Vision offers you the Quadfit, Ghost Lace and full Flyknit upper with ACC, which enhances your touch on the ball, while giving you a clean striking surface without any laces to disturb the contact with the ball. The Phantom Venom is also about giving you a clean surface, which means that it comes with a Strike Zone and blades on the upper, which is all about giving you an improved strike to the ball. 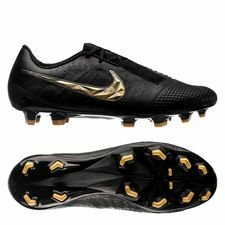 No matter if you want explosive speed, a precise strike, a defense cutting pass or premium touch and comfort, as the Tiempo Legend 7 will secure you, then Black Lux Pack has it all for you. 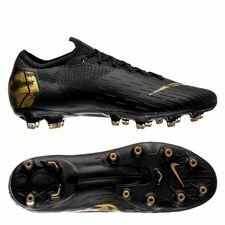 Find the Black Lux Pack at Unisport from today.